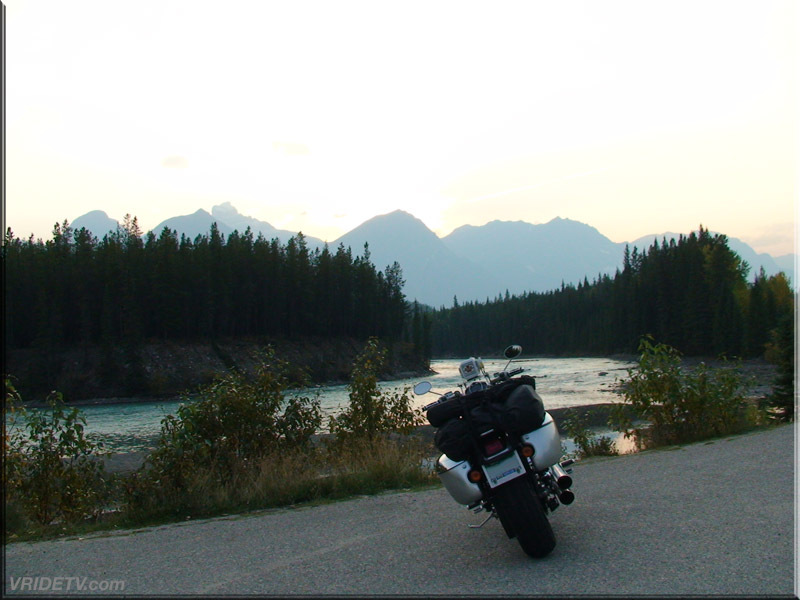 Motorcycle riding on the Icefields Parkway at sunset alongside the Athabasca River in Jasper National Park, Alberta Canada. 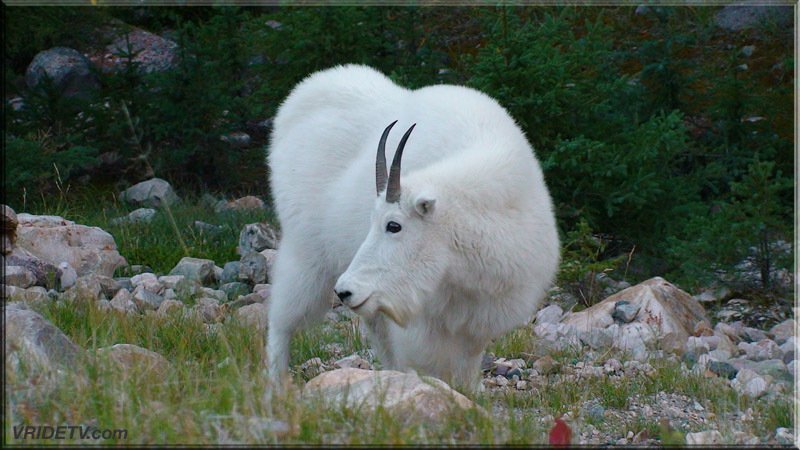 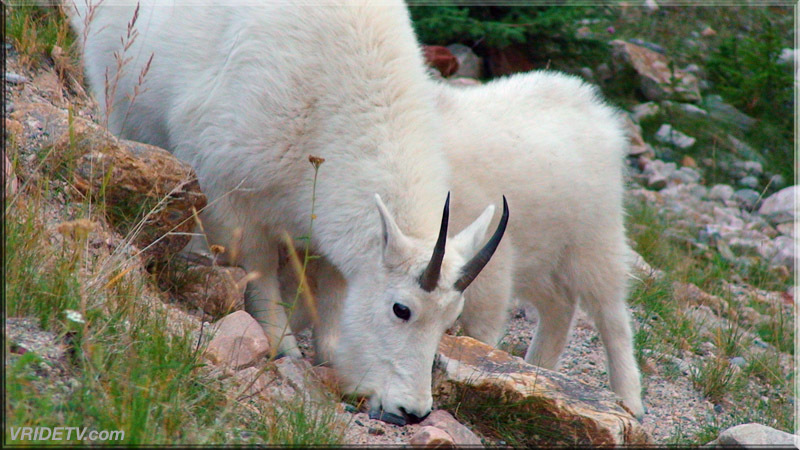 A family of mountain goats is featured in this high definition video, they were only meters away from the side of the road and are truly magnificent creatures. 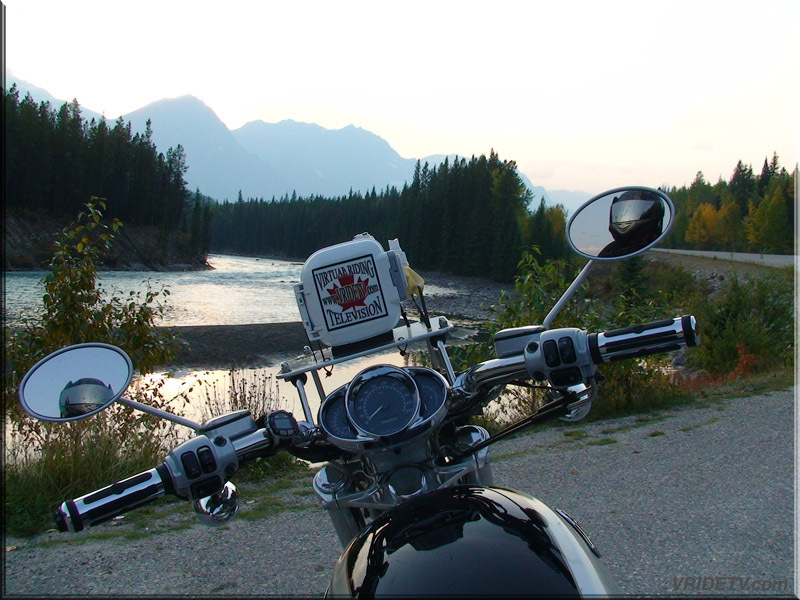 Highway 93 between Lake Louise and Jasper is one of the most spectacular stretches of road in Canada. 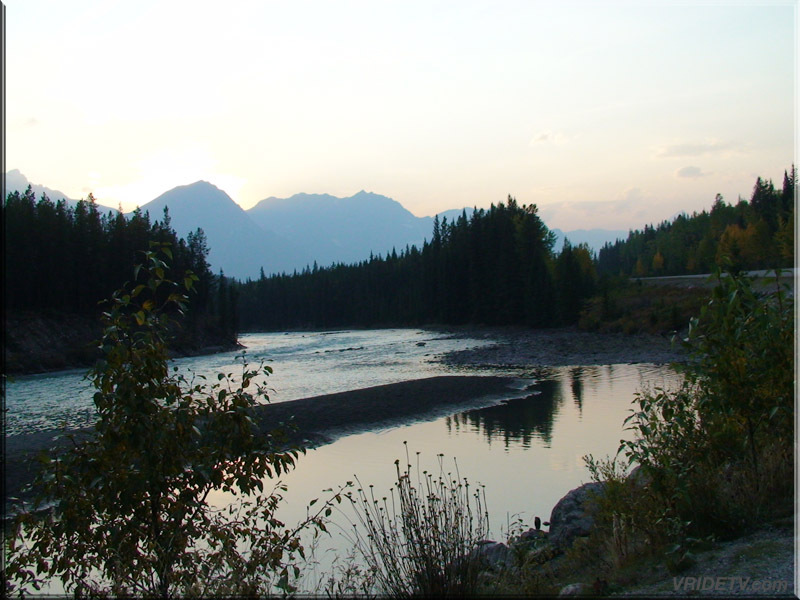 Special thanks to the Mount Robson Inn for providing accommodations while filming in the Jasper area.